I am so excited that we have completed our garden and I wanted to share with you the final steps! This really has been a relatively simple project. This is really easy for me to say since my husband did most of the work. However, the time involved in this project was only a few hours. This could have been done in a day. We broke it into to two separate afternoons simply for our own convenience. 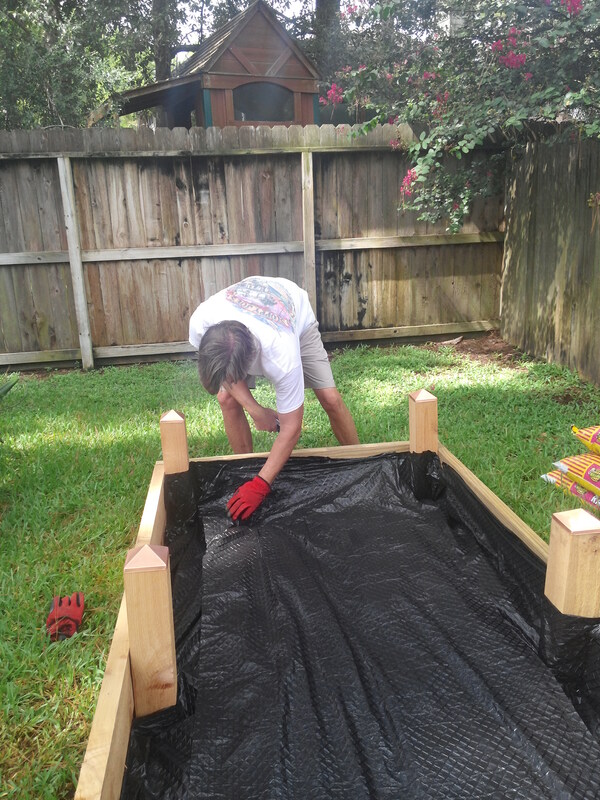 Step 2 really just includes laying the ground cover, adding the soil, and the exciting part is adding the plants! For our ground cover, we chose Vigoro Weed Block Fabric from Home Depot. We simply covered the ground with this fabric and stapled it to the sides of the cedar boards. Then came the mulch. We used an inexpensive mix of topsoil and composted manure to layer the ground. For our top layer of soil we used 6 bags of Kellogg Raised Bed and Potting Mix. The best part was adding the plants. After some research about the best place to purchase vegetable plants, we headed off to a lovely little nursery near us called Plants for all Seasons. I seriously could spend all day in this place wandering around and exploring the wide variety of goodies for your garden. As usual, my husband attempted to keep me on task. One of the main things we wanted in our garden are tomatoes. We decided on Celebrity Tomatoes because they are the best selling tomato. We also purchased summer squash, basil, rosemary, and oregano. We wanted to plant some seeds as well, so we purchased Kentucky Wonder Green Beans, and cucumbers. We actually finished planting a couple of weeks ago, but as to frequently happens, life gets busy and keeps me away from posting. I am amazed how much the plants have grown and the seedlings that we planted are already popping up! I will definitely keep you posted on the progress of our little garden. Hopefully, we will be slicing up fresh tomatoes and cooking summer squash for dinner in no time! 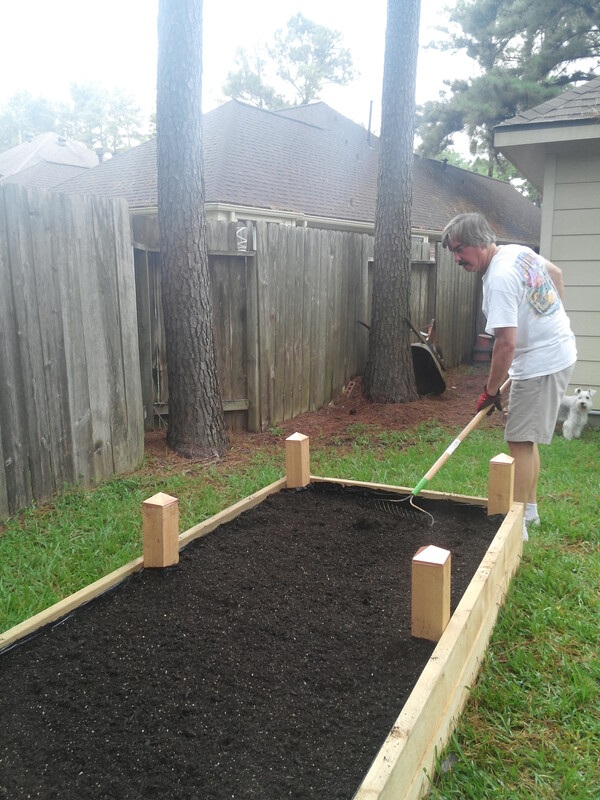 We’ve been using raised beds for several years! the best way to go I think- great post!